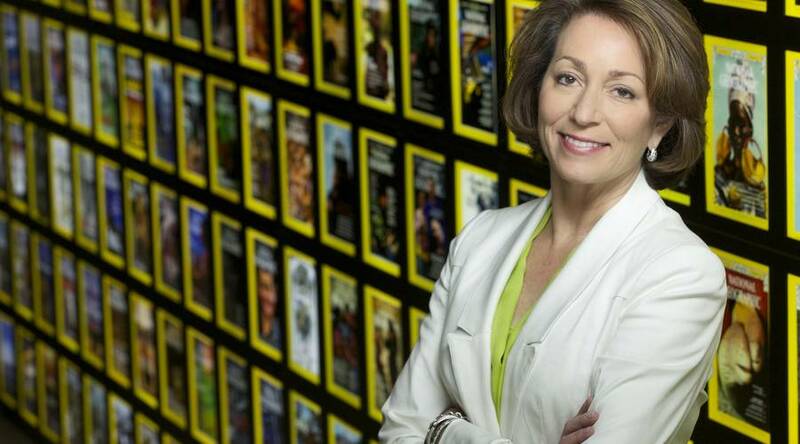 Photo: Jewess Susan Goldberg is running National Geographic & sending it down the toilet! The once-excellent National Geographic magazine, now run by a Jewess, Susan Goldberg, is particularly bad. The titles and subtitles tell the story: “There’s No Scientific Basis for Race—It’s a Made-Up Label”; “All Africans under the Skin”; “All humans are 99.9% identical and do not fall neatly into physical categories some people call races”; “We’re literally African under the skin”; et cetera. ← What Charles Darwin believed about the Races of Man: No such thing as Equality! Don’t be naive about Jew media like the ‘National’ Geographic. They were always Jewish garbage. Look at back numbers and wake to the permanent threat from Jews. It’s a widespread myth among whites that Jewish stuff – BBC TV, Reader’s Digest, Time, Life, Hollywood etc were once quite good, a lot better than now, etc. Don’t be naive. Look at back numbers with newly critical eyes. Please. Those “girls” look like boys. See the Adam’s apple. Well done, the blackish looking one. Another Michell Obama. Typical Jew crap, what they tell gullible Whites and tell each other are totally different things.